The most rich and colorful attire of the Miao Hmong people is found in the south of China. Every different branch of the Miao Hmong people brings with them a different kind of costume. Their designs range from the exquisitely gorgeous costumes of the Shidong area to the primitive and coarse ones of the Nandan area. 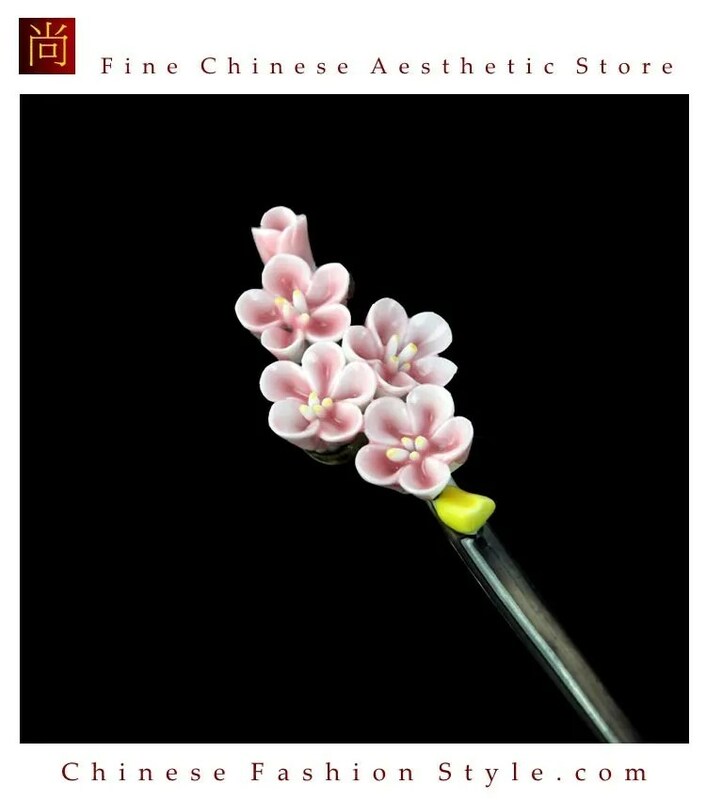 These people are extremely talented in art, especially those living in the Guizhou province. Their embroidery works, batik and silver accessories are perfect examples of showing characteristics of Miao Hmong clothing art. Sophisticated weaving, dyeing, batik, pleating, embroidery, appliqué, interlacing, and quilting techniques are used to produce the costumes and have evolved to exceptional artistry. Traditionally, these skills are passed down from mother to daughter. Making a set of traditional Miao clothes usually takes a Miao Hmong woman 1 to 2 years. 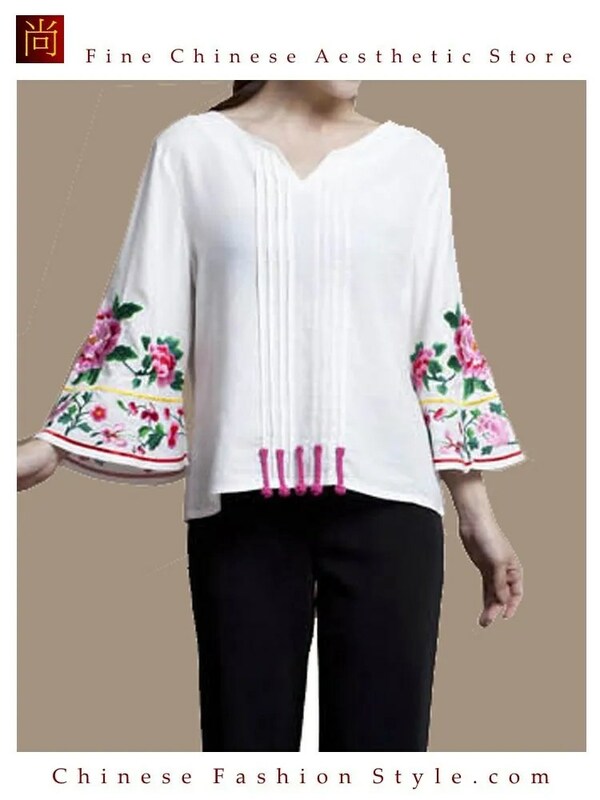 Moreover, as hand-made Miao Hmong costumes are sewn individually by Miao women in their homes, there are hardly two costumes with the same style or pattern. The materials used in Miao Hmong costumes are hemp, cotton, silk and natural dyestuffs, including indigo. The geographic location of the villages has a great bearing on the materials from which the garments are made. 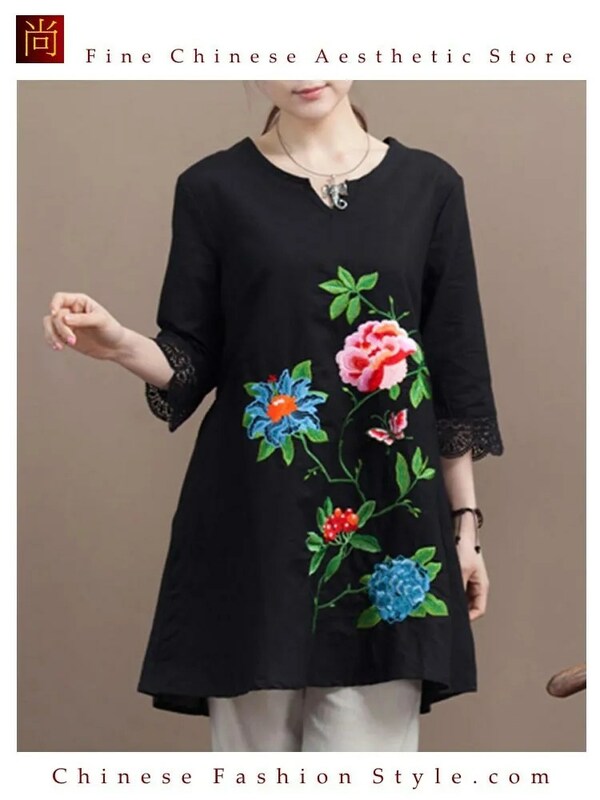 Cotton is produced in western Hunan and eastern Guizhou and is traditionally used in the making of clothes. Wool is produced in the cold highland areas of north-eastern Yunnan and is used for making warm clothes in that region. Flax is grown is Sichuan, western Guizhou and south-eastern Yunnan and so linen is used in the manufacture of clothes. Embroidery techniques are varied. Satin stitch and cross-stitch are widely used. In some areas, such as south-east Guizhou, girls also use braid or plaited stitch. The satin stitched is bright and smooth with delicate, clear patterns of animals and plants. The cross-stitch is done on the reverse side of the fabric, the patterns appearing on the obverse side or on both sides. And the braid stitch is done by plaiting silk thread into braids, folding it on cloth and then fixing it with thread. The patterns of this embroidery create a striking decorative effect. Miao Hmong women are proficient in batik. Their colored batiks are renowned at home and abroad. The process is all manual and rather tedious, which involves drawing, waxing (with special wax knife using beeswax), dyeing and wax melting. This technique had been lost among Han Chinese but being kept very well by ethnic Miao Hmong. In fact, the United Nation (UN) reported that Miao Hmong costume is one of the world cultural relics, where batik plays a major role. The motifs on batik are plain, naive, rough and powerful. Its shapes are boldly diversified and exaggeratedly drawn. Since Miao Hmong language do not have scripts, abstract symbols or totems are also commonly found. Silver ornaments make up an important part of Miao Hmong dress. 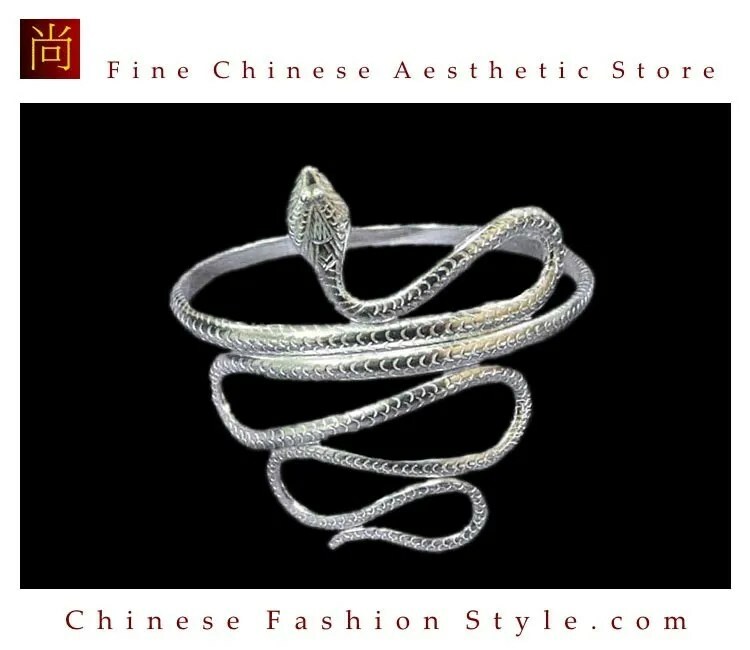 Miao believe silver can dispel evil spirits and is also a symbol of wealth. Miao Hmong families dress up their daughters with silver ornaments for special occasions. Silver worn by young women sometimes weighs more than 10 kg, which makes the whole body sparkling and shinning. 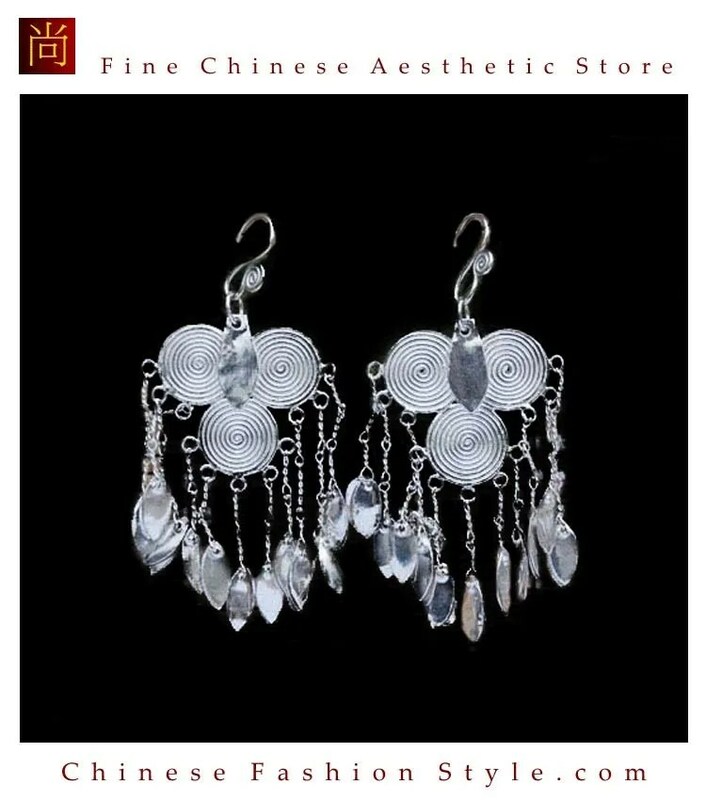 The Miao Hmong silver ornaments include silver hat, silver horns, silver combs, silver earrings, ear pendants, neckbands, necklaces, collars, bracelets and rings. Most of them are handmade by Miao Hmong silversmiths. Skills and techniques employed are casting, hammering, plaiting, cutting flowers and carving lines. Patterns are mostly dragon, phoenix, horses, flowers and birds, lively and delicately exquisite. China has 56 ethnic groups distributed across a vast land of 9.6 million square km — each with its own special costumes. However, most Chinese ethnic minorities share the custom of wearing satchels. As a part of their costumes, satchels display different living habits and the craftsmanship of these groups. The satchel, called the “Tong pa” in the Dai language, is a practical craftwork adored by the Dai people, for both women and men, young and old. During country fairs, nearly all Dai fellows in the marketplace wear a satchel. The elderly use satchels to hold cigarettes, betel nuts and some sundries, while the young wear them mostly for decorative purposes or to send it to their loved ones. A small bag is usually installed in an interlayer in the satchel to store cash and other valuables. Satchels worn by the Dai people are mainly made of cotton-woven Dai brocade and feature beautiful hues and rich patterns. Common patterns include auspicious shapes, such as elephant feet, tortoise shells, bats and so on; realistic ones, such as patterns of peacocks, bajiao banana flowers, horses, legendary animals, golden pheasants, lotuses, butterflies and so on; as well as signs, such as auspicious characters and religious symbols. These patterns are not only decorative but also express good wishes. The Miao people have been famous for their accomplishments in weaving the “five-color cloth” since ancient times and for the Miao brocade and wax printing. The Miao ethnic minority inYunnan Province comprises many groups and is distinguished by its costumes, such as the Red Miao, White Miao, Black Miao, Blue Miao, Big Flowery Miao, etc. Satchels, as an attachment to costumes, should complement the costumes. Therefore, different groups of the Miao people wear satchels of various styles. The Miao culture and history have been passed down by word of mouth or symbols. As an artistic language of symbols, the patterns on Miao brocades contain many traditional contents from the ethnic minority and recite numerous legends, tales and ancient stories. 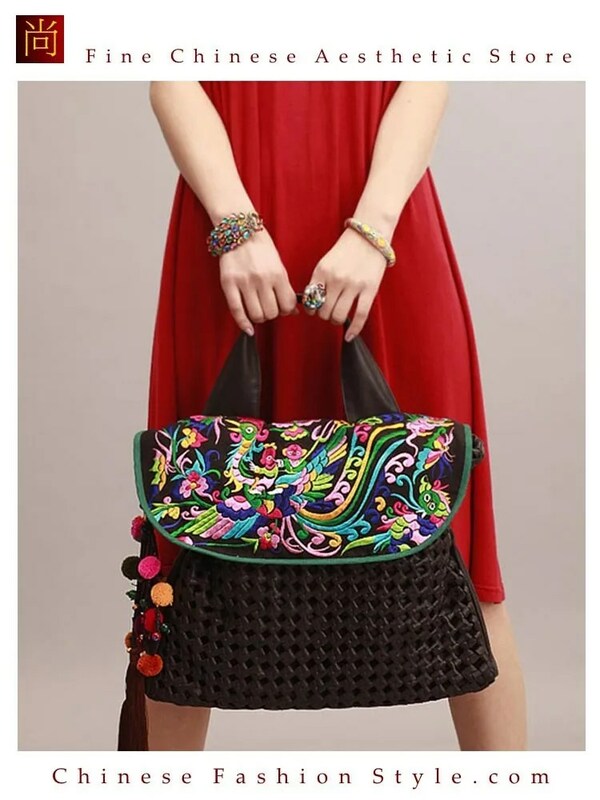 Therefore, just like costumes of the Miao people, their satchels not only feature a distinctive aesthetic significance, but also carry rich cultural connotations. Folk brocade of the Zhuang people has been famous for a long time and their embroidery is also very unique. 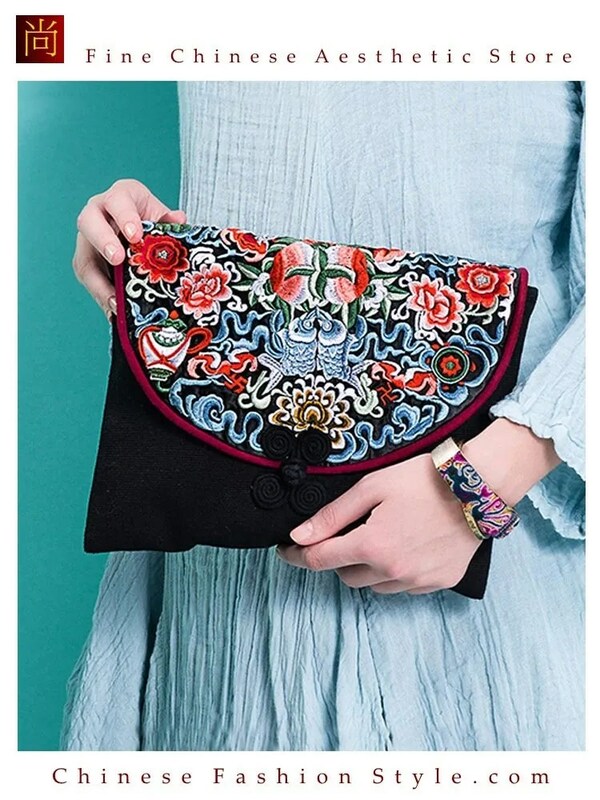 One can experience the Zhuang people’s deft embroidery skills from their satchels. “Nine Dragon s playing with a Ball” is a common subject in the Zhuang brocade patterns. Other brocade patterns on satchels include butterflies, bats, the sun and the moon, flowers and other auspicious elements. If you are fortunate enough to visit a Miao Hmong village during festivals or wedding ceremonies, you will be dazzled by the varied and colorful costumes and silver ornaments of Miao Hmong women. 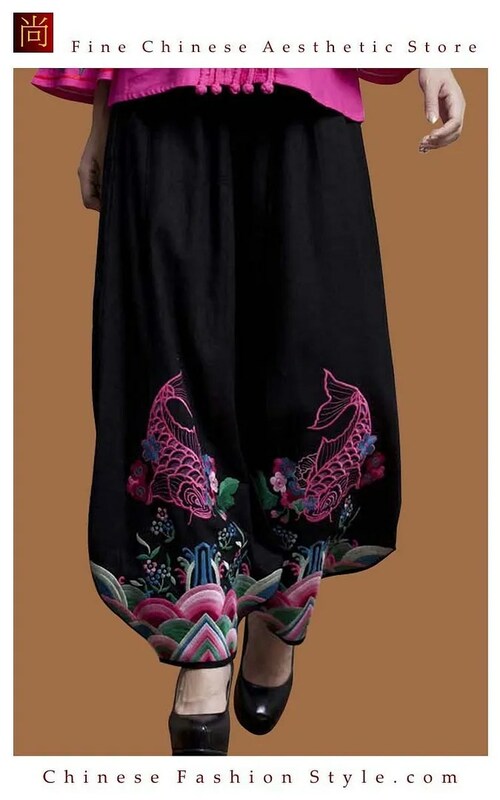 Miao Hmong clothes are appealing not only because of their unique styles and craftsmanship, but also because they reveal the rich Miao Hmong culture and its long history. Their costumes are an integral part of their culture. Miao Hmong costumes are skillfully made with rich colors and great artistry. The crafts of embroidery, batik dyeing, appliqué quilting, weaving and silversmith technique have been handed down from generation to generation. Miao Hmong girls learn to embroider and do batik dyeing from the age of six or seven. Girls who live near water often use fish and shrimp as motifs, whilst those who live in the mountains use flowers and birds as motifs. The designs are symmetrical flowers, butterflies, birds, animals and geometric patterns. 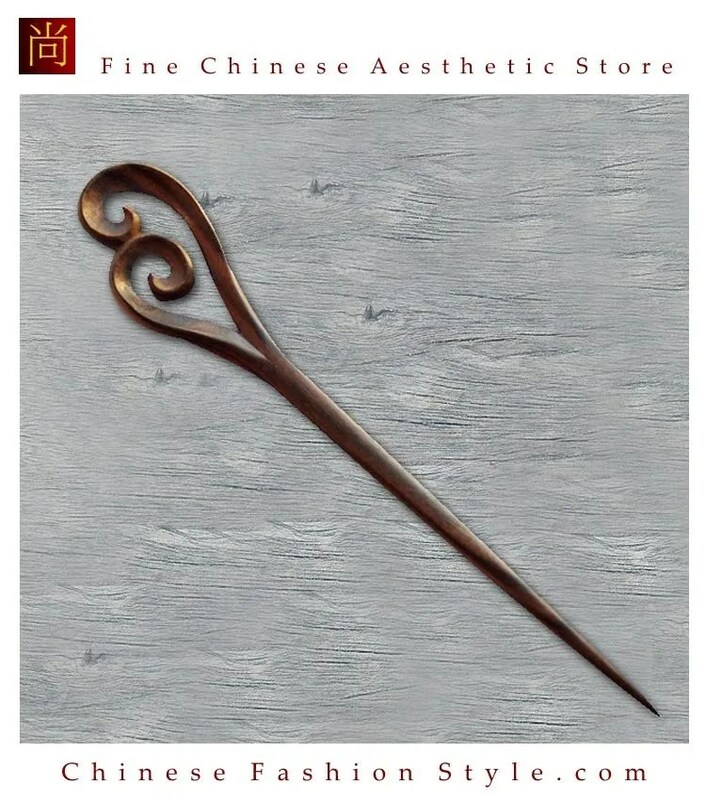 Many motifs used in Sichuan, Guizhou and Yunnan are similar to those used by the Yao people of Guang Xi and of the Golden Triangle of northern Thailand who are of the same ethnic origin. 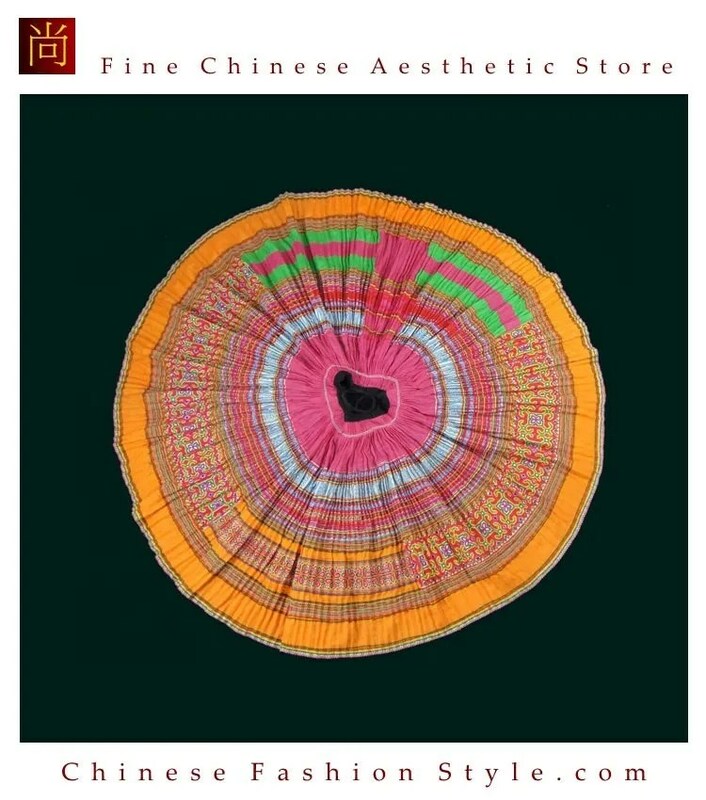 The designs used in south-eastern Guizhou are similar to the ancient Chinese Chu culture and other designs are similar to those used by the Han, Manchu, Yi, Buyi and Dong people of China, showing their ethnic relationship to those cultures. The Miao people, whose religious beliefs are thought of as primitive, have a strong sense of nation. Without written script, they pass their cultural and traditions not just through oral literature, but also clothing. The clothes bear strong culture message. Different patterns and designs on the clothes retain rich meaning and refer to legendary stories about such things as their origins, wars and religious beliefs. Therefore, historians view them as the “Wearable History Book”. Silver has unique significance in Miao Hmong culture. 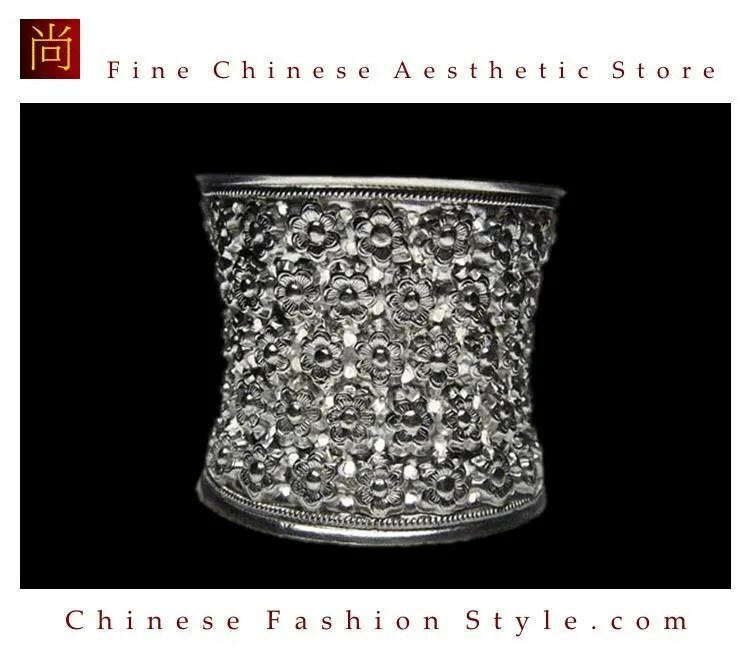 The Miao people have been deeply fascinated with silver since ancient times. 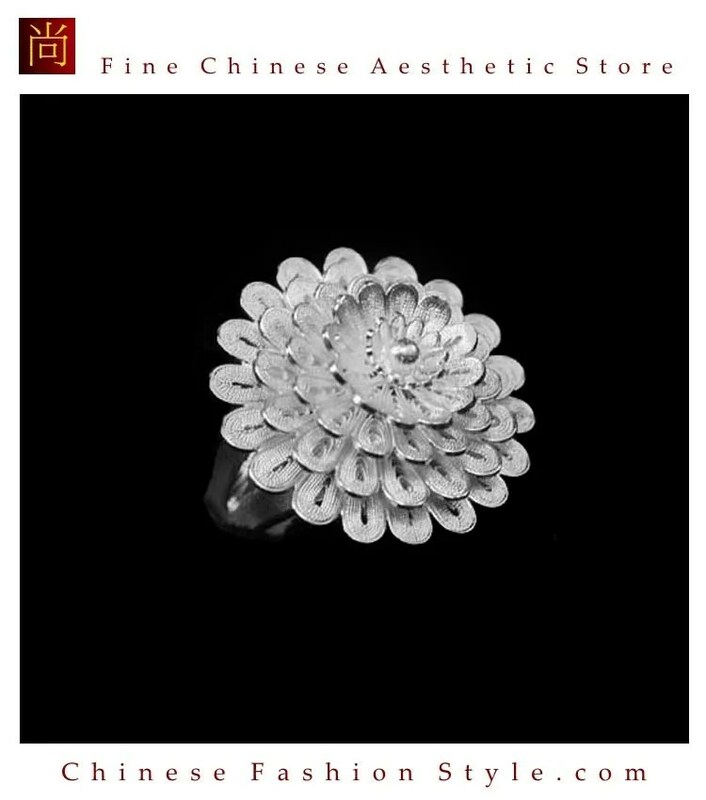 The culture of silver was handed down since the Qin and Han Dynasties (221BC to 220 AD). The Miao’s silver jewelry are second to none in terms of quantity and varieties. The craft has developed into a unique art form. 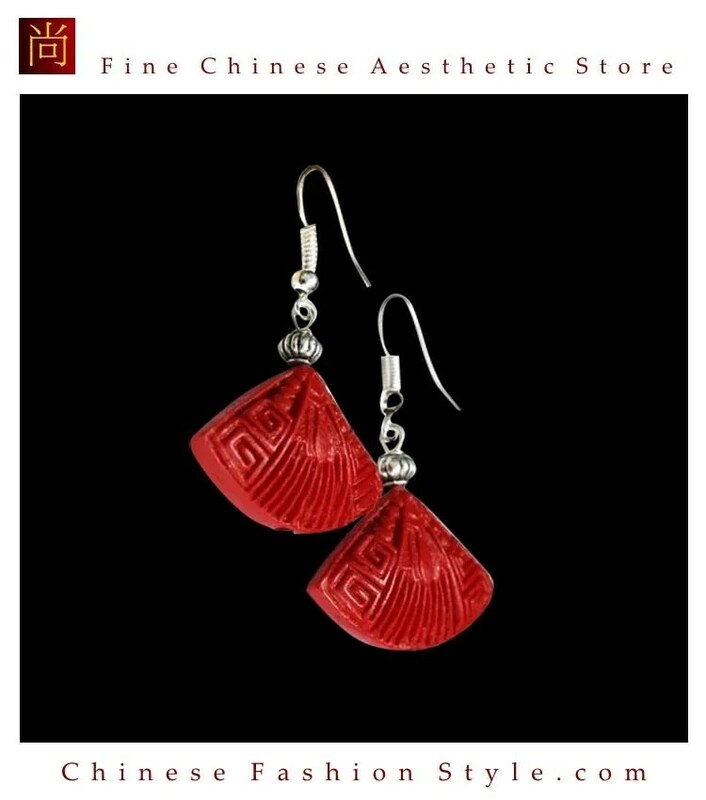 The silver jewelry of Miao are in large varieties, which are particularly represented by that of Leishan County of Guizhou province and Fenghuang County of Hunan Province. Silver jewelries mainly include silver crown, horn, comb, earrings, necklace, bracelet and ring. 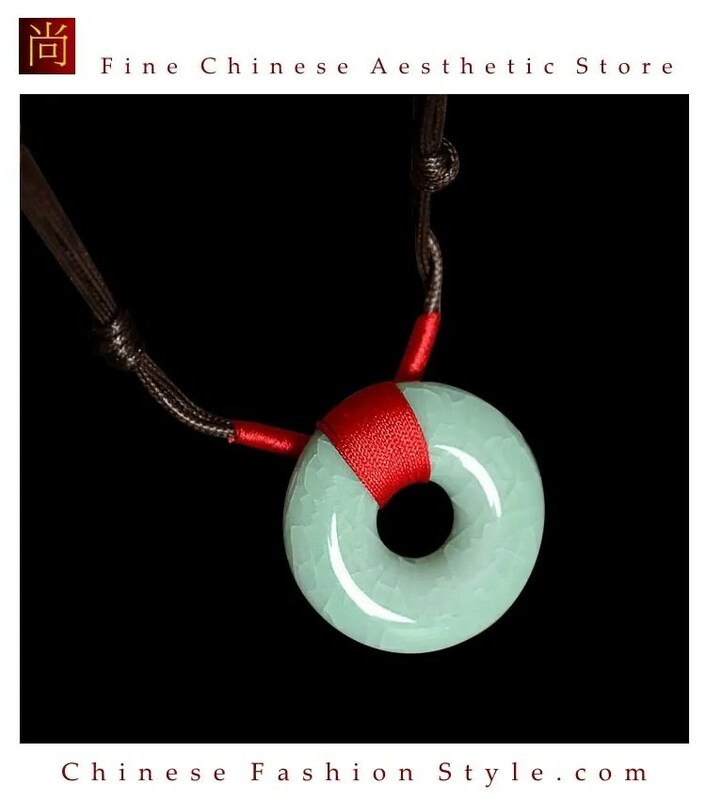 These jewelry are mainly worn by women. The reason of wearing silver is primarily aesthetic, but also as amulets to ward off evil and as symbols of wealth. It is a tradition that when a girl is born, her parents will start saving money to make fancy silver jewelry that can weigh several kilograms. 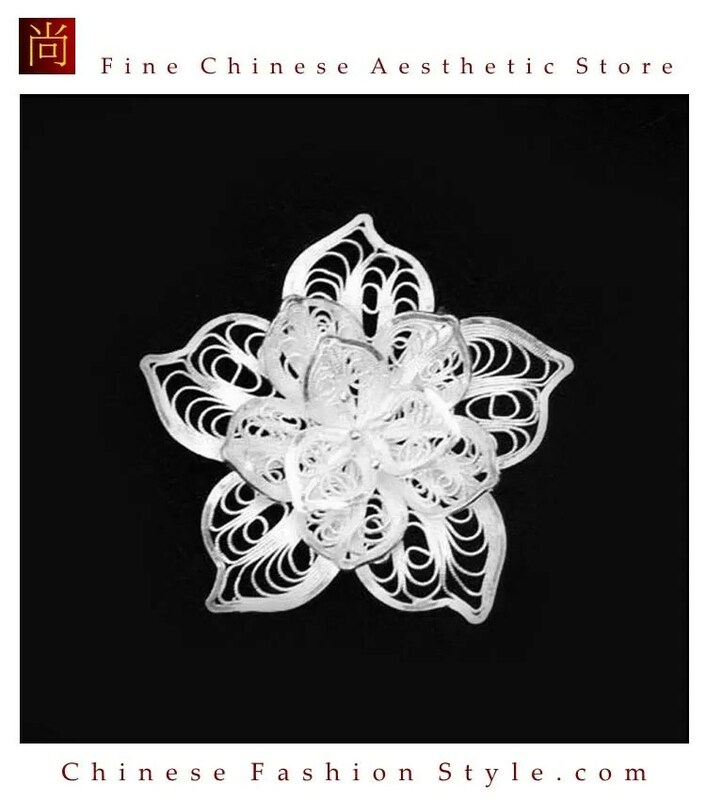 On the wedding day, the girl will be wearing these beautiful silver accessories all over her body, the more and heavier the better, showing her beauty and wealth of family and adding joyful atmosphere to the event. In history, the Miao people live in regions of no silver resources, they had to work hard and melt almost all the silver coins and ingots they earned. This led to different levels of silver purity as currencies differed from region to region. For instance, the southeastern area of Guizhou province is divided into two parts by Leishan Mountain. In the north area, people used Dayang (a kind of silver currency) to make jewelry, so the silver purity was high, while in the south area, Erhao (a kind of silver currency) was used, so the jewelry contained less silver. Since 1950s, the Chinese government has showed great respect to Miao people’s custom and allocated certain amount of silver to them at a low price every year. Today’s silver jewelry with basic fixed patterns and designs are the result of years of passing down and inheritance. Casting, beating, knitting, chiseling and carving are the common techniques for making silver ornaments. The patterns adopted are mostly dragon, phoenix, flower and bird, which are lifelike and exquisite. 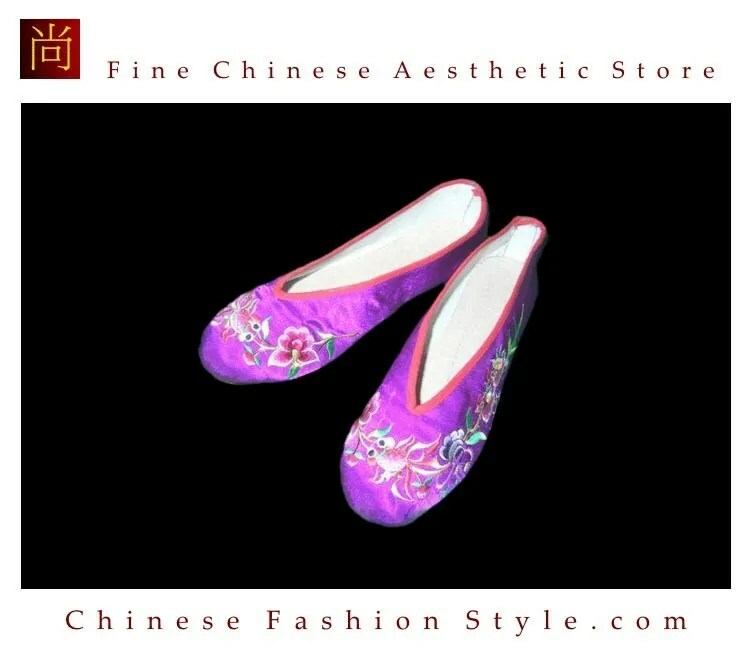 They are largely inspired by other art forms such as embroidery and wax printing. The silversmiths continuously improve and renovate the designs and patterns while keeping the traditional designs. Miao Hmong silver jewelries are diversified, colorful, eternal and meaningful, just like beautiful poems written on the silver worth reading perpetually.